Alexanders Carpet One Floor & Home in Corpus Christi is your local expert when it comes to carpet. We have one of the area's best selections of quality carpets, and we also provide a few different services, such as carpet installation, to make sure that you're delighted with your new carpet. To find your ideal carpet, we use our unique Select-A-Floor™ system. Our system will help you find your way through the available carpets to a few carpet choices that make the most sense for you and your home. If you have any questions along the way, you can always ask our flooring experts. Our experts are knowledgeable about all types of floors, including carpet. Do you think of carpet as soft? Do you imagine your home covered in a stylish, patterned carpet? Maybe you see yourself with carpet in a few rooms but not others. Whatever you think of when you think of carpet, it is essential to know that carpet differs based on the type. The type of carpet you purchase should be based on your lifestyle factors like activity level and personal style. For example, a homeowner who has five dogs will need carpet that functions differently than a homeowner who lives alone with no pets. Carpet is still a popular choice in the flooring industry and provides softness underfoot unlike any other floor. Balance your factors with your style to get the most out of your carpet investment. The types of carpet on the market today are level loop, patterned, textured, frieze, and plush. Carpet that is not stain resistant or pet-proof is best installed in living rooms and bedrooms, or rooms that are not high traffic. Stain resistant and pet-proof carpets can be installed in living rooms, bedrooms, playrooms, and can even be put in staircases and hallways due to their ability to resist wear and tear. You should not install carpet in kitchens or bathrooms because these rooms have high moisture levels. We have carpets for every lifestyle and design. Because we are part of the Carpet One cooperative, we can carry a wide variety of carpets while staying affordable. Some of our exclusive brands include Tigressá™ and Relax it’s…Lees™. If you are interested in learning more, stop by our showroom in Corpus Christi, TX! Carpet continues to be one of the most popular flooring options for residential and commercial settings. Why? Take a look at the CARPET acronym. Since we're part of Carpet One, we can offer industry-leading warranties with some of our exclusive carpet options. How Do I Take Care of Carpet? If maintained properly, your new carpet will look stylish for a long time. 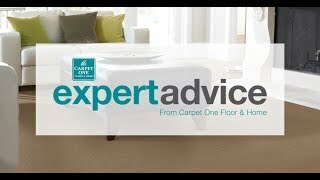 Let our experts teach you about carpet maintenance.